Politicians heading to the hustings know voters have one thing in common: they’re all consumers. We asked parties how they’d tackle 7 key consumer issues if they seized power on September 23. The issue: We launched our Sneaky Fees campaign in March with the aim of getting retailers to stop the insidious practice of adding extra charges to the advertised cost of goods and services. 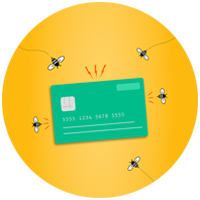 Since then, we’ve received more than 500 complaints from consumers stung by undisclosed fees when they’ve bought goods or services. More than 10,000 people signed our petition calling for all-inclusive pricing rules to be added to the Fair Trading Act to force retailers to disclose the full purchase price upfront. Last month, we presented the petition to Minister for Commerce and Consumer Affairs Jacqui Dean. At the time, Minister Dean said she would look closely at our proposal. Question: Does your party support all-inclusive pricing rules being added to the Fair Trading Act to require retailers to disclose the full purchase price upfront and protect consumers from hidden fees? The Fair Trading Act already prescribes protections for consumers against misleading or deceiving behaviours. Businesses should be upfront with consumers. Yes. Labour believes that consumers deserve transparency when they make a purchase. In government we will support changes to the Fair Trading Act to ensure that consumers know how much a good or service will cost upfront. There will need to be consultation about exactly the best way to implement this. Yes. 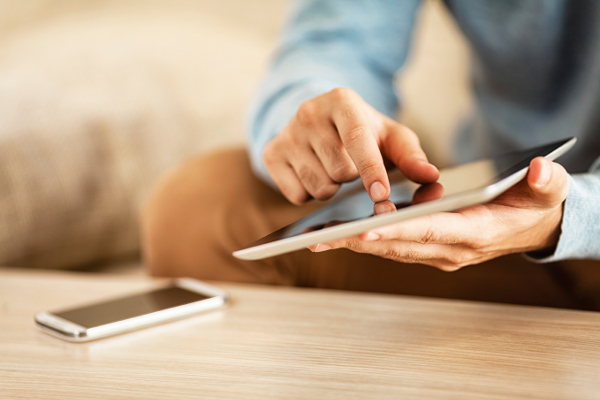 Consumers should have all the information upfront to be able to make good decisions. ACT supports transparent pricing. The advertised price should include all add-ons that cannot be avoided. Consumers should also be given the total-price (including discretionary add-ons) before they complete the purchase. However, ACT does not support amending the Fair Trading Act to make this mandatory. No specific policy, but if the evidence shows this provides necessary protection for consumers we would support it. The issue: We believe consumers have a right to know where their food comes from so they can make informed choices. 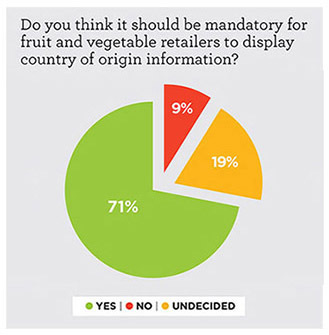 Our February 2017 survey with Horticulture New Zealand found 71% of New Zealanders wanted mandatory country-of-origin labelling for fruit and vegetables. Only 9% were opposed. Currently, there’s no requirement to label where food comes from, putting us out of step with many countries we trade with. At least 50 countries, including Australia, the United Kingdom and the United States, have mandatory labelling requirements. We’re supporting the Consumers’ Right to Know (Country of Origin of Food) Bill, which passed its first reading in parliament in April. The bill requires country-of-origin labelling of fruit and vegetables, and other single-component foods. Question: Does your party support progressing country-of-origin labelling for single-ingredient foods to ensure legislation is passed in 2018? We have supported a Members Bill to select committee to let New Zealanders have their say on this matter. We are waiting to hear back from that process. Yes. Note: The Green Party sponsored the Consumers’ Right to Know (Country of Origin of Food) Bill. It is not apparent legislation is needed as all the major supermarket chains already provide country-of-origin labelling for single-ingredient food voluntarily because their customers demand it and would vote with their feet if it is not provided. Any misleading claims about a food’s country of origin can be dealt with under existing consumer law. The issue: Health star ratings are meant to make it easier for consumers to choose healthier foods. The way ratings are calculated means positive nutrients, such as protein and fibre, can offset negative ones, such as sugar and saturated fat. This means foods higher in sugar, saturated fat or sodium can still earn a high rating. For example, Nutri-Grain is 27% sugar, or nearly 3 teaspoons in a 40g serving. But it gets a health star rating of 4 out of 5 because of its fibre and protein content. We think foods high in negative nutrients should have a cap on the ratings they can achieve. The level of fibre in Nutri-Grain doesn’t change the fact you’re consuming extra teaspoons of sugar with every bowl. Question: Does your party support changes to the health star rating system to ensure foods high in fat, sugar or sodium don’t qualify for high star ratings? The 5-year review on the health star rating system closed on 3 August. If any changes are required to the system it should be discovered in the review. Labour wants better food labelling. In fact, we think that it would be simple to put the number of grams of sugar and other key ingredients on the front of packaging. That is simpler and more informative than a star rating system. There are also problems with the current star rating system whereby some high sugar foods (like breakfast cereals) achieve a better star rating by including fibre. The current system is not fit for purpose and needs to be improved. Yes. We would reform (the health star rating system) by making it compulsory and making it government-led instead of industry-led. NZ First does not have a specific policy relating to the health star rating system. 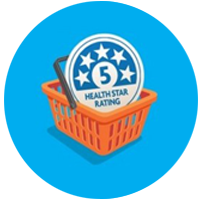 The Health Star Rating system sounds like a good idea until you see it in practice where it probably confuses consumers rather than informing them. Problems include: trying to define what exactly is healthy; customers choosing high star foods but ignoring serving sizes; consumers using the system to compare products from different categories; and manufacturers changing formulas to make their foods to make them ‘appear’ healthier than they are. We would categorise food into 3 groups. Red, for processed unhealthy foods high in additives and sugars; orange, for foods that medical experts assess as “neutral” in harm; and green, for fresh and designated health foods. The issue: We’ve been reporting on shortfalls in rest home care since 2009. One of the major issues in complaints is inadequate staffing. However, minimum staff-to-resident ratios set in funding contracts between district health boards and rest homes remain low. Last month, we reported on the case of Freda Love, whose son Robert paid an extra $52 per night for his mother to have a premium room in Cambridge’s St Kilda Care Home, operated by Bupa. Several times, he found her lying in a wet bed because her catheter was leaking and staff lacked the expertise to fix the problem. Freda’s frailty also meant she needed 2 caregivers to lift her. However, the home’s premium room staffing ratio of 1 caregiver for every 10 residents meant she sometimes had to wait hours for assistance. We think staff-to-resident ratios in the rest home industry need to be significantly higher than the ratios set in funding contracts. We believe an independent inquiry is needed to determine safe staffing levels, with the minimum skill levels required of rest home staff, to ensure they provide consistent, high-quality care. Question: Does your party support an independent inquiry to determine the funding and staffing arrangements required to ensure rest homes provide consistent, high-quality care? No, as the government already does regular audits into these facilities to ensure they meet high standards . HealthCERT is responsible for ensuring hospitals, rest homes, residential disability care facilities and fertility providers provide safe and reasonable levels of service for consumers, as required under the Health and Disability Service (Safety) Act 2001. If rest homes fail these requirements, they can be closed. The audits reports are published by the Ministry of Health. Yes. Ensuring rest homes meet quality standards and provide dignity to all residents is important. Labour believes there needs to be an independent aged care commissioner who has the job of advocating for the sector, and also investigating complaints. Yes. The Green Party along with Grey Power and the Labour Party are conducting an inquiry into aged care, and anticipate to release the report soon. Our inquiry has confirmed the urgent need for further, independent investigation and recommends changes in the sector to make sure we are protecting one of our society’s most vulnerable groups. ACT is open to having an inquiry. ACT believes that the government should legislate against the absurd ‘TerraNova Homes’ pay equity decision, which is increasing the cost to elderly rest home residents and driving smaller rest homes out of business. ACT is in favour of rest homes being able to access the skilled immigration labour they need. We are open to this idea if evidence suggests it is needed. The issue: From 2000, electricity costs have risen almost 50% in real terms. While variable (per unit) power prices have stagnated over the past couple of years, lingering at about 26¢/kWh, they haven’t fallen. And increases in fixed daily charges continue to outpace inflation, meaning bills are still rising. The upshot is 30% of renters in our energy providers satisfaction survey this year said their home wasn’t as warm as they’d like, because of the power price. Question: What will you do to ensure vulnerable New Zealanders aren’t priced out of keeping their homes at a healthy temperature? Our electricity market is stable and working. The government continues to believe that competition is the best way to keep downward pressure on retail prices, along with effective regulation of the natural monopoly parts of the sector. Labour will introduce a Winter Heating Allowance for superannuitants and beneficiaries of $750 per couple or $450 for a single person to help them pay for heating between May and September. We’ll also introduce “Healthy Homes” legislation so every rental property has decent heating and insulation. In the short term, we support winter warm-up payments to assist low-income households [pay] their power bill. In the long term, we will fix the broken electricity market by using more time-of-use pricing and encouraging people to invest in solar and battery technologies. That would reduce peak demand and make power cheaper for everyone. We also support extending the successful WarmUp NZ and putting in a housing warrant of fitness to ensure that all New Zealand homes are warm, dry and healthy. New Zealand First would conduct an inquiry into retail power prices, amend the Commerce Act and provide the resources to the Commerce Commission to protect New Zealanders from monopoly pricing and anti-competitive behaviour, and abolish the Electricity Authority. We intend to incentivise landlords with subsidies for improved, cost-effective heating options. We also intend to explore solar heating (with new battery technology) options for more homes to both reduce power bills. ACT is in favour of removing the low fixed charge tariff that is currently penalising in large families on low incomes. It is also committed to make distribution cheaper and to reform the RMA to make building new generation easier. The bigger issue is the high cost of housing which is caused by restrictions on the supply of land. ACT will open up land to allow 600,000 new houses to be built in Auckland. If evidence suggests electricity pricing is unreasonable or unaffordable, TOP would consider measures to correct the market. The issue: More of us are priced out of the quarter-acre dream, with nearly 1 in 3 Kiwis now renters. But tenancy protection laws haven’t kept pace with the new realities of this housing market. We’d like to see changes to the law to improve renters’ security of tenure. Property management companies are increasingly taking over the landlord role and their fees play a part in pushing up rents. We’d also like regulation of this sector. Question: What will your party do to improve protection for tenants in the rental housing market to ensure they have security of tenure? The Residential Tenancies Amendment (No 2) Bill strengthens the law for prosecuting landlords who tenant unsuitable properties. Currently the Tenancy Tribunal’s jurisdiction is limited to residential buildings, meaning those who rent out unlawfully converted garages, warehouses or industrial buildings as living spaces can avoid accountability. The amendments in the bill – which is currently before the select committee – will change this. With more people living in rentals, it is time for updated tenancy legislation that provides an appropriate balance of rights and responsibilities. Labour believes stable housing is one of the building blocks of successful communities. There are good models around the world, notably Germany, in which tenants have greater stability and rights of tenure provided that they take care of the property. In government we will be reviewing the 30-year-old legislation to bring it up to date and make it relevant for tenants in 2017. Establish a commercial entity (Kiwi Housing) to acquire land (and, where appropriate, use existing state-owned land) to create a land bank in areas where demand clearly exceeds supply. We want to change a number of settings to ensure tenants have greater security of tenure, including changing the rules around tenants being given notice when landlords wish to sell their tenanted properties. The current flexibility in rental housing contracts should be seen as a strength not a weakness. Some tenants want to have short term contracts, while others want long term. The real issue is the high cost of housing – which is caused by restrictions on the supply of land. ACT will open up land to allow 600,000 new houses to be built in Auckland. This will dramatically improve housing affordability – for both those looking to buy or rent. TOP will change the regulations around residential tenancy law to match the German approach. This restricts the conditions under which a landlord can evict a tenant to those of non-payment of rent or property damage. Sale of a property is not necessarily a legitimate reason for eviction. The issue: Many consumers are already taking steps to reduce their carbon footprints, such as changing their transport habits, reducing red meat and dairy consumption or using voluntary carbon offsetting schemes. But households can’t tackle climate change alone. Effective consumer action needs to be supported by clear policy and regulation. Question: What will your party do to reduce carbon emissions and support the voluntary actions consumers are already taking on climate change? We are committed to the emissions trading scheme (ETS) as the primary driver for reducing emissions. Along with phasing out the 1-for-2 carbon credit measure, we recently announced further changes to provide more certainty for businesses about the direction of the ETS. Labour believes New Zealand can do much more than we are currently and in government will prioritise an electricity system with minimal emissions, a major shift from petrol to electric vehicles across the national fleet, and an all sectors emissions trading scheme. We have a comprehensive climate action plan that will take New Zealand on a path of carbon neutrality by 2050. We also want to support consumers doing the right thing by creating incentives for electric cars, housing insulation and solar energy generation. NZ First will exit the emissions trading scheme and replace it with a UK-style Climate Change Act. Integral to this new Climate Change Act will be a new Parliamentary Commission for Climate Change to be established as an Office of Parliament. We agree with the government’s support for the Paris Climate Accord and would also support further measures, beyond what the Accord signs NZ up to. Reducing carbon emissions is not a consumer protection issue. However, it’s great that advances in technology and an increase in environmentally focused brands are giving consumers more choices to reduce their impact on the environment. ACT believes this will increase substantially over time and does not support compelling consumers to buy certain goods or using taxpayers money to subsidise chosen technologies. Wean our country off fossil fuels by 2050. TOP would “dump the junk” credits held by the government, ensure our emissions trading scheme stays closed to international trade, and plough revenue from a higher carbon price into energy efficiency, reducing costs and emissions. GUIDE TO THE TABLES Answers have been edited for clarity and brevity. We’ve included responses from parties in parliament or polling above 1% at time of publication. We haven’t included responses from United Future as the retirement of Peter Dunne means they’re very unlikely to re-enter parliament.